It was this time last year when we finally moved into our new home in Melbourne. Once we got the keys, we moved in immediately and filled our new place with all of the necessities. But there was one tiny little detail we forgot about – blinds. Since our apartment is on the sunny side of the building (which was something we wanted), we needed blinds badly and we needed them fast, both for privacy and furniture protection purposes. The thing is, we had already ordered some beautiful white plantation shutters online, but while we were waiting for them to be shipped, we were left with too much of the light we were desperate to have at first. And you know what they say – too much of anything is never a good thing. Luckily, a friend informed me that I can simply get some temporary paper blinds. To be honest, I never knew there was such an easy and instant blind solution on the market that could do such a great job. Installed in less than a minute, temporary paper blinds are the perfect solution for instant privacy with a minimal expertise required to install. 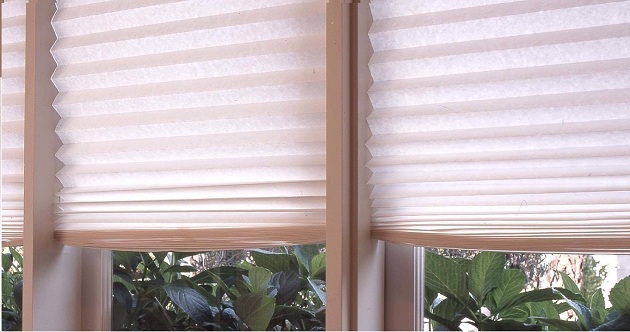 These blinds are an affordable and versatile product that can be used anywhere you want – nursery, office, caravan, even in your car. Entirely cordless, paper blinds are totally child safe product that won’t break anyone’s bank. So, if you ever find yourself in a similar situation, or perhaps you already are, here are some additional tips regarding how to easily install these great allies. First, you need to decide on whether you want to apply them on the window glass or on the architraves. Once done, you should measure your window’s width and trim the blind to the size you want by using a Stanley knife, peel the tape backing from the blind and stick it to the window frame or glass. And, voila! You will have brand new blinds within a minute! To open the blind, simply gather up the plates and secure them with the enclosed clips that usually come with the blinds. In case you want to remove them, simply peel them off the glass or frame and you are done, and do not worry, there will be no residue left behind! Speaking of which, make sure you buy from a reliable and reputable seller, as that way you can be sure that you are investing in high-quality paper temporary blinds that can be reused. Finally, these blinds can also allow you to be creative since the paper can be arranged to form different shapes thanks to the clips and your imagination.